Have you ever wondered what Canadian pharmacy prices are compared to what you’re paying in the states? You may be surprised to learn that the same name-brand and generic prescription medications you take are only a fraction of what they sell for in the US -- sometimes to the tune of 80% off. We’ll discuss this next before going into the astronomical differences between Canadian pharmacy prices and US-based ones. Why Are Canadian Pharmacy Prices so Low? Canada is an impressive country that has a lot to be proud of, and our universal health care system is one of them. It’s specifically geared to provide publicly funded essential hospital and physician care to individuals based on need - not the ability to pay for care. However, nothing is ever perfect, and this system is no exception - it doesn’t cater well to the needs of individual who require prescription medication. But, there’s a way to save money by ordering from a Canadian pharmacy online - and it starts with a basic understanding of Canadian drug laws. In order to swallow the price of drugs, Canadians are fortunate to take advantage of a law which allows a federal review board to be placed in charge of ordering price reductions to prescription drugs when prices exceed the average price in 6 European countries and the United States. This unique Canadian law is similar to the way many European nations intervene in similar ways to hold their prescription drug costs low, ultimately benefiting Canadians. In the US, drug companies sell for less in Canada because they can sell for less in Canada, practicing what’s referred to as “price discrimination,” charging different prices to different buyers in different places. This works economically by nature of drugs being expensive to research and develop, but cheap to manufacture - so where a company can make its profit by only having to cover the cost of manufacturing the pill itself, it will choose to do so. Statista recorded prices for Advair Diskus 250mcg/50mcg between May 1 and June 30, 2017, citing a major cost difference between Canadian pharmacy prices and US ones. In the US, three Advair inhalers will cost an individual an approximate $1,227. PricePro Pharmacy sells 360 doses of Advair Inhaler (250mcg/25mcg) for a price of $594 - equating to $1.65 per dose. Brilinta sells in the US for an average of $377 for 60 doses of the drug in 60mg doses, equating to $6.28 per pill. Meanwhile, PricePro Pharmacy is able to offer Brilinta 60mg tablets at a price of $160 for 60 tablets - equating to a price of $2.67 per pill. A popular drug used to treat arthritis, Celebrex is a moderately priced prescription medication that fetches an average price of $18 per 200mg pill in the US, according to GoodRx. PricePro Pharmacy offers Celebrex as low as $0.93 per 200mg dose - $84 for 90 capsules. Also a popular arthritis relief medication, Colchicine pills (0.6mg) sell for an average price in the US of $590 per 100 pills. Meanwhile, with Canadian pharmacy prices, PricePro Pharmacy sells the same 0.6mg dosage (100 pills) of Colchicine for $55, or $0.50 per dose - and 200 pills for $100 ($0.50 per pill). Used to lower the chance of stroke in patients with atrial fibrillation, Eliquis is sold in the US for a price of $424.65 per 60 5mg tablets. PricePro Pharmacy sells Eliquis for $90.00 for 60 5mg tablets. Flovent is an inhaled corticosteroids drug class commonly prescribed for treatment of asthma. In the US, the average cost for Flovent HFA inhalation aerosol (44mcg/inh) is an approximate $198 for a 10.6 gram supply. PricePro Pharmacy, which uses Canadian pharmacy prices, sells 120 doses of Flovent HFA Inhaler (50mcg) for $35.00, equating to $0.29 per dose. Another blood sugar control medication for Type 2 Diabetics, Jardiance can also reduce the risk of heart attack or stroke in diabetics with risk factor for heart disease. In the US, 30 tablets of Jardiance in 25mg dosages, sell for an average of $449. In Canada, this prescription can be filled by PricePro Pharmacy (30 tablets @ 25mg) for $114.00 - or $3.80 per dose. 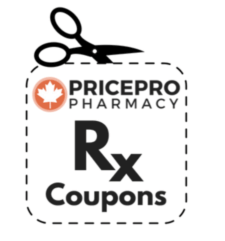 In Canada, PricePro Pharmacy is able to sell 60 identical 150mg doses of Pradaxa for a reduced $220. A popular alternative to other anticholinergic medications, Spiriva is used to treat chronic obstructive pulmonary disease (COPD) including chronic bronchitis and emphysema. In the United States, 30 18mcg capsules runs an average of $412.00. Canadian Online Pharmacy - PricePro Pharmacy offers the same Spiriva prescription for $52.00 (30 18mcg pills). A bronchodilator, Ventolin works to combat bronchospasm and open airways in the lungs making it easier for users to breathe. GoodRx cites the average American price for 1 Ventolin HFA inhaler runs an approximate $58.44. A unique prescription drug that is used to treat blood clots in the veins and/or lungs, Xarelto, or Rivaroxaban, sells in the United States for an average of $424.68 for 30 20mg tablets. While Canada’s universal health care plan may never be truly perfect in offering prescription medication protection, the well regulated drug price regulation laws in Canada allow people to attain their prescription medications and save money. 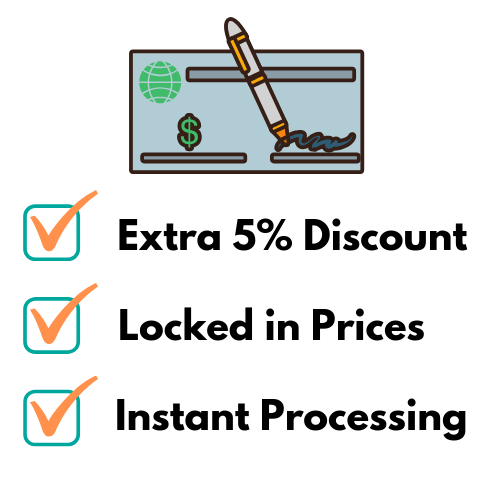 By ordering your prescription medications from an online pharmacy in Canada, you can take advantage of the huge cost-savings that come with Canadian pharmacy prices. With these discounts, patients can afford to treat their conditions more consistently, for much longer - encouraging and supporting good health in a larger number of the population. 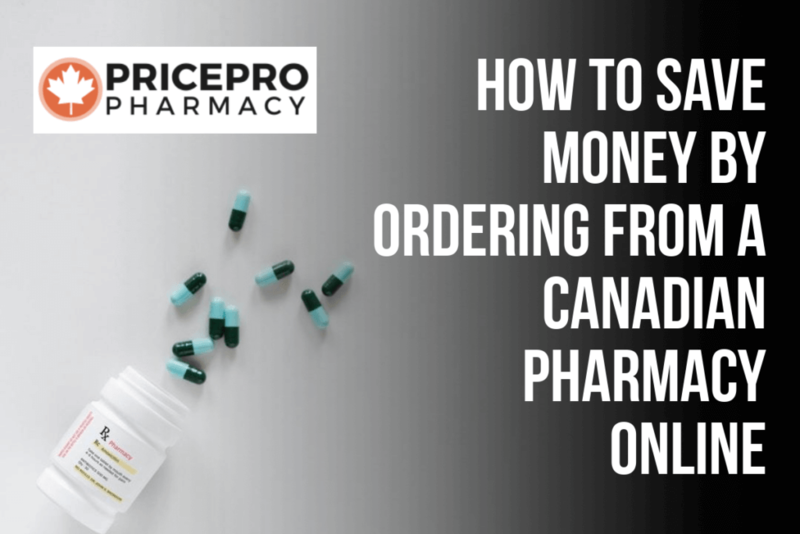 Call or chat with a PricePro Pharmacy team member for any assistance in ordering from a trusted Canadian Pharmacy online. And it’s not just our Canadian pharmacy prices that can help lower your costs. Save even more with our first time customer RX coupons available with orders above $50!